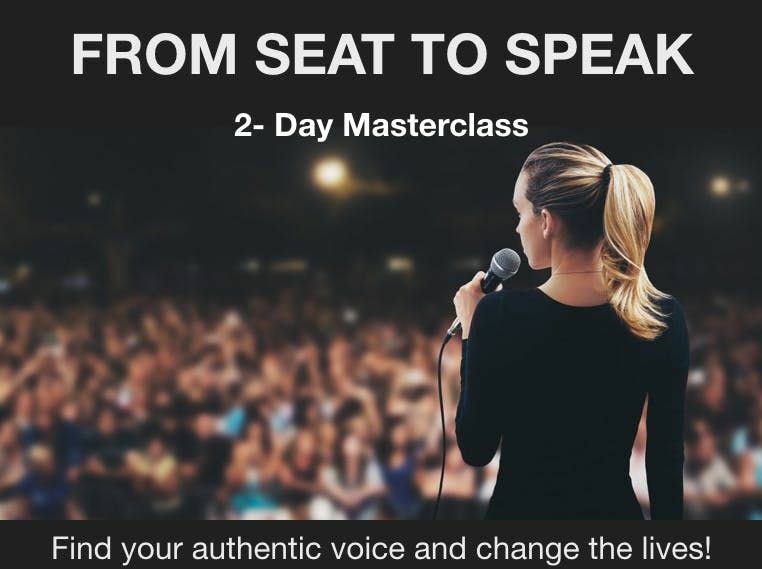 From Seat to Speak 2-Day Masterclass! Develop a confident Presence, craft effective Presentations and become an influential Public Speaker! Ladies, it is about time to have an impactful voice. It is time to take ownership of our achievements, to allow ourselves to become real change makers and to define, and design, our destiny. In order to create the impact the world needs from us, and for us, we urge to find it, own it, and unleash it! Your voice is needed out there! Join me, and Speak Up! Be prepared for an interactive, dynamic and supportive learning experience! This is your starting point to become part of a community of global players and world-class speakers. 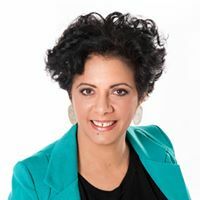 In this Masterclass, I, Tulia Lopes - the Leading in High Heels lady - and my team, will help you to get in touch with your true voice. You will understand how you communicate, how people perceive you and, most importantly, how assertive and effective your communication style is. The Speak Up & Lead Academy journey will start at the Aspiring Level with this 2-Day Masterclass event open to all, no pre-selection required at this level. During the masterclass, you will have the opportunity to work interactively with the group and learn the stages required to become a competent communicator, public speaker, and leader. You will receive first-hand the foundation and support to build those skills. 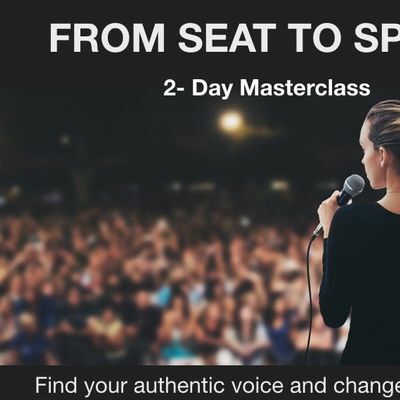 After this 2-Day Masterclass, you will be able to have more clarity when expressing yourself and feel more confident when speaking up, whether it is in front of your team, meeting, or on stage. Together, we will find the answers to each of these questions and much more. And from there, you will then start owning, polish, and cherishing that voice that is inside of you, which right now is so desperately trying to find the way out. To spread itself around the world, to make that positive impact that you, deep inside, know that is for you to make. In this Masterclass event, you will learn the fundamentals on how to develop a confident Presence, effective Presentations, and impactful Public Speaking skills. Build up your credibility and authority by developing a confident and charismatic presence. Raise your profile by having a clear message that will make a huge impact on your audiences and keep their full attention. 1. Stand out confidently from the crowd - You will raise your profile by having a clear message that will make a huge impact on your audiences and keep their full attention. You will develop an authentic voice by tapping into your inner talents, values, and strengths. 2. Have an impact every time you present - You will confidently own any stage by developing a charismatic presence and crafting a presentation that will build rapport and trust with your audience. 3. Become a positive influence to others and leave a legacy - You will become a better listener by learning how to ask assertive questions. You will also become an inspirational speaker that will move people into action. Your voice is needed! If you want to see changes in the world, you are the one to take action. For that, you need to be able to express your needs, desires, frustrations, goals and dreams, in an effective, assertive and inspirational way, which will move others into action and will create the impact and change you want to. Hundreds of women have been helped to develop the skills to move from their seats to speak! Join me and my team for a 2-day packed with content, strategies, and stories that will inspire, influence and move you, and others, to action. It was an epic two-day workshop at the Speak Up And Lead Academy with the charismatic founder Tulia Lopes @tulia.lopes and a beautiful community of ladies! Filled with many valuable insights, hands-on experience, instant feedbacks, and Aha!-effects. Ladies, if you want to enhance your presentation skills, boost your self-confidence and shine like a diamond - kick it off with these two days!Even though I do not aim to become a speaker on stage, after all, I do speak in public. At an event. At meetings. In the street. In the doorway. Basically anywhere where people meet. If you are looking for a raw awesome kick or transformational Masterclass, check out for the next events on www.speakupandleadacademy.comGrab your high-heels and speak up!